This classic is as powerful and practical today as it was in 1963 when it was first published. The suggestions in the book for developing our subconscious mind are well-defined and have proven effective for almost 50 years. One of the most widely acclaimed and bestselling self-help books of all time, "The Power of Your Subconscious Mind" has helped millions achieve remarkable goals simply by changing the way they think. 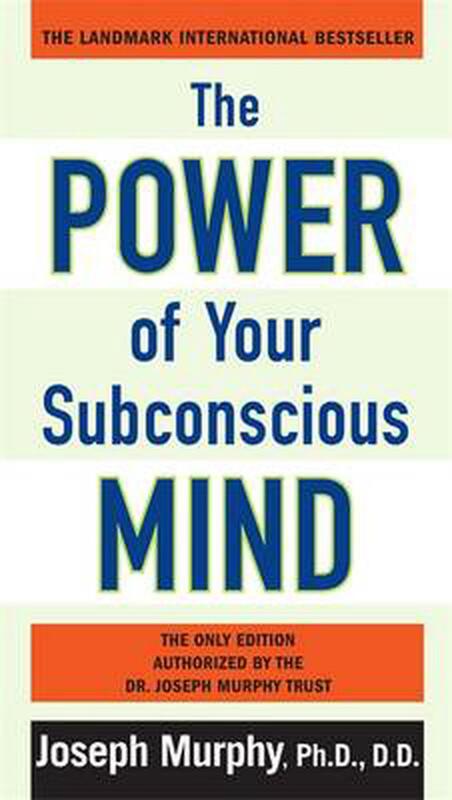 "The Power of Your Subconscious Mind" introduces and explains the mind-focusing techniques that remove the subconscious obstacles that prevent us from achieving the success we want-and deserve. This authorized edition of Dr. Murphy's keystone work is the first premium mass market edition to feature additional commentary drawn from his unpublished writings. As practical as it is inspiring, Dr. Murphy's work demonstrates with real-life examples the way to unleash extraordinary mental powers to build self-confidence, create harmonious relationships, gain professional success, amass wealth, conquer fears and phobias, banish bad habits, and even to effect physical healing and promote overall well-being and happiness. Joseph Murphy was a world-renowned authority on mind dynamics and author of numerous bestselling books. His ability to provide practical techniques that anyone can use as a tool for physical, social, economic and spiritual self-improvement gained him a loyal worldwide following of millions.